Dell's Venue 8 Pro and Lenovo's Miix 2 8 are two examples of some of the more popular Windows tablets currently on the market. Microsoft's latest operating system was designed for devices just like these but let's be honest: every now and again, the need to pop into the desktop environment arises and although it can be done on these tablets, it just doesn't feel natural. If you've ever found yourself in a similar situation and happen to own one of the two tablets mentioned above, you're in luck. That's because a company called Plugable has created a docking station that'll transform your tablet into a full-fledged desktop computer. 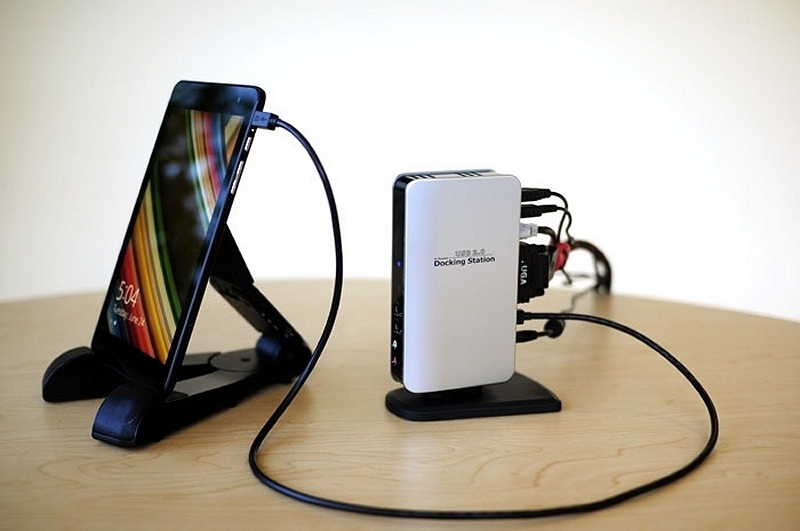 The Pro8 docking station connects to either tablet via micro USB and is able to provide users with four USB 2.0 ports, two analog audio jacks, one DVI-I connection and an Ethernet jack. All of this is in addition to being able to simultaneously charge the tablet while connected to the dock. The dock affords a great deal of flexibility but do note that it carries a couple of limitations. For one, the maximum external display resolution is 1080p. What's more, the wired network is only capable of 100Mbps speeds. And because all of the additional USB ports share a single connection to the tablet, one probably shouldn't expect breakneck data transfer speeds. Plugable's Pro8 dock was recently funded on Kickstarter and will be shipping to early adopters in November. Units should be available for the general public on Amazon sometime after that for around $90.